The Selectboard members set the town’s mill rate Wednesday night, bumping it $1.65 to $25.90 per $1,000 of property value. 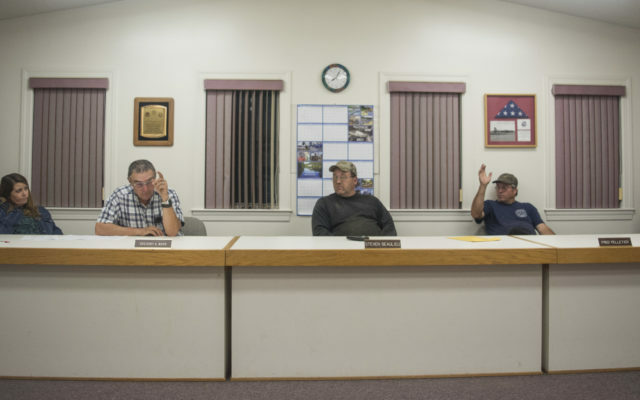 LIMESTONE, Maine — The Selectboard members set the town’s mill rate Wednesday night, bumping it $1.65 to $25.90 per $1,000 of property value. The brief emergency session that started at 8 p.m. was scheduled because the town needed to send out tax bills and “couldn’t wait any longer,” according to Town Manager Fred Ventresco. He added that the town had “issues assessing solar panels on the personal property” side of things, and did not have time to make a final assessment before the end of the month. Because of this, the town manager said Limestone will likely have to do a special assessment in the near future. Steven Beaulieu, chairman of the Selectboard, began the brief meeting Wednesday by presenting three different options for the 2017-18 mill rate — 26.2, with a $53,393.16 of overlay, 26.0 with $41,144.43 of overlay, and 25.9 with $35,020.07 of overlay. An overlay is an amount raised above the town’s tax commitment, which is used to pay tax abatements and to have as reserve in the town’s general fund for unanticipated expenses. The year’s total municipal budget is $1,541,226, and adds up to $2,270,790 when school and county assessments are included. Ventresco said the two main factors increasing the municipal budget were related to employee salaries and Public Works equipment. While board member Fred Pelletier motioned to go with 25.9 and Melissa Devoe seconded his motion, Tom Albert was opposed to moving forward with a low overlay. Compared to last year’s mill rate of 24.25, Limestone’s mill rate has increased by 1.65. Selectmen ultimately approved the rate of 25.9.